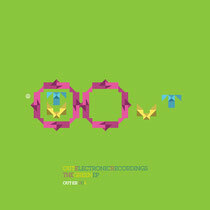 Berlin’s Out-Er label marks its forth colour coded release with a package from London based Italian producer Luciano Esse. Out-Er are a relatively new outfit, this being just their fourth release, however they are already shaping up to be an essential imprint, as they proved with their recent single from Analogue Cops. Support from the likes of Steffi, Ed Davenport, Felix Martin (Hot chip) etc has leant the label an instant credibility and this latest release from much lauded techno producer Luciano Sambati AKA Luciano Esse is set to further cement their reputation. 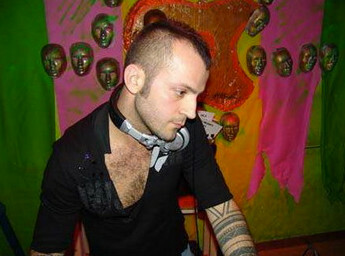 Sambati has been involved with dance music since the ‘90s, working initially in his native town of Salento, Italy before moving to London in 2001. His DJ career has seen him playing at the capital’s key venues such as Fabric, The End, The Cross etc as well as having taken him further afield with residencies for the likes of Space and Amnesia. On the production front he has released for labels such as Safari Electronique, Material and Circle Music. This latest offering sees Luciano Esse offer up three brand new slices of deep techno that give an insight into the musical world of this superb producer. From the spacious opener, ‘The Foul’, through the darkly hypnotic ‘The Laziest Man’ and on to the edgy and percussive ‘Black Stick’, there is nothing but quality from beginning to end.